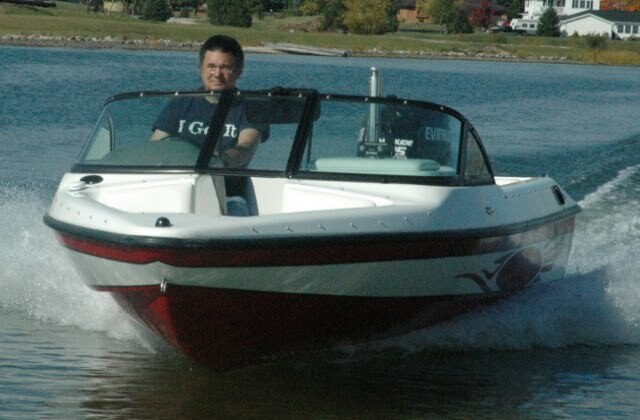 Dyna-Ski Boats: Getting the water out of your boat. Getting the water out of your boat. A neighbor and friend of mine has a 1991 Master Craft Outboard. He called me the other day and said his boat has a bad crack in it and could I take a look at it. So I did expecting to find a crack in the transom area as typically these boats crack in the back after a while when a more powerful and heavier outboard motor has replaced the original engine. This was not the case though as this boat is cracked in the hull area but on the inside of the boat. There are other smaller cracks all over that don't show up in the pictures. The boat must have been stored with water under the floor which froze and the fiberglass cracked. 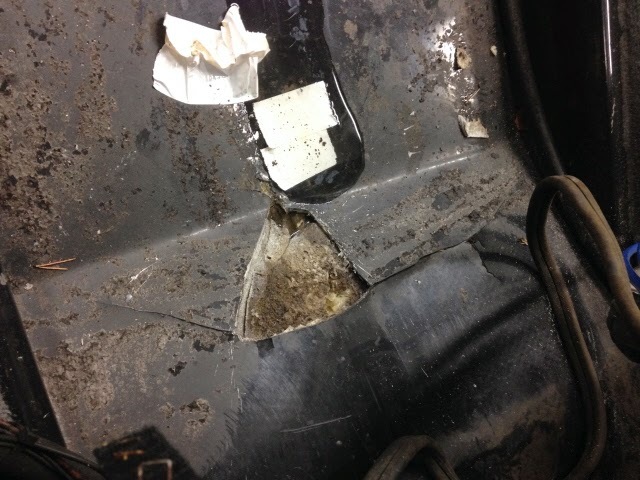 When the owner picked up the uncovered boat from the dealer where it was for winterizing there was enough water in the boat that the battery compartment had water in it. YIKES! Obviously this isn't good. 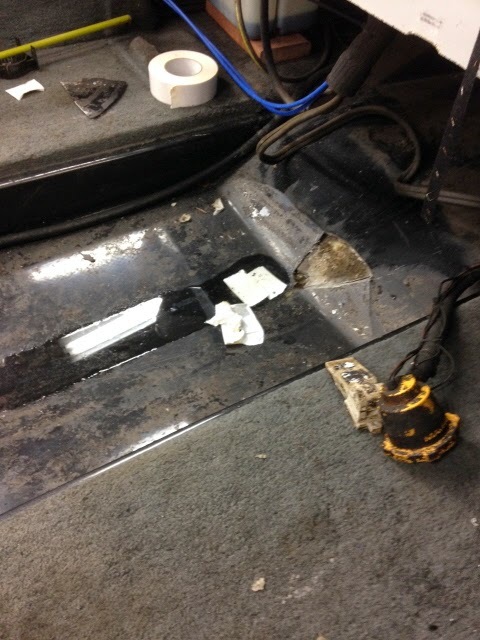 The big problem is that water has soaked into the floatation foam under the floor. During the summer water weeps out of the cracks. Every time the boat freezes in cold storage the more cracking is likely to occur. I suggested the owner weigh the boat and try to determine how much water the boat may have absorbed. The fix can be very expensive. It requires taking out the floors and removing the fiberglass surface (liner) and then scraping out all the water soaked foam. Install new foam, new fiberglass and then reinstall the floors. If the cracks are just fixed chances are the cracking and others will happen every winter the boat is cold stored. So make sure you get all the water out of your boat before you store it. I do this by parking the boat and trailer on a steep incline at my boat landing and pulling the plug. I patiently watch water slowly trickle out of the engine and wait if any water comes out of the hull drain plug until it has stopped. While on my boat lift the drain plug is removed from the boat and the bow of the boat is higher than the drain plug on my lift. Keep in mind that the bilge pump will not usually remove all the water from a boat.